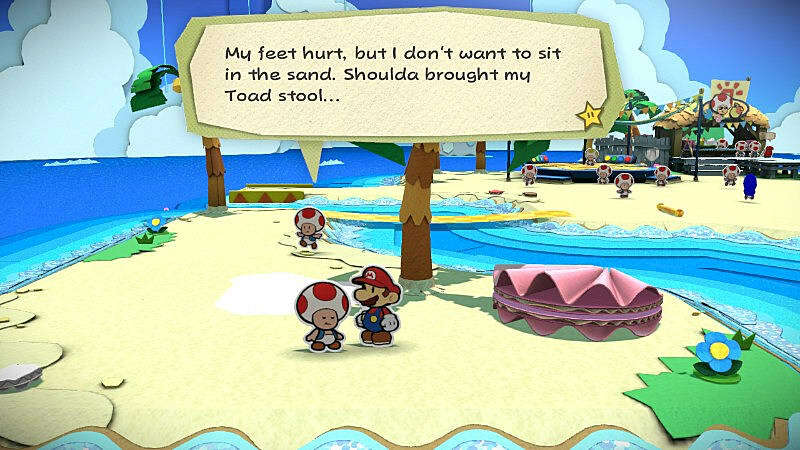 The once-celebrated Paper Mario series has had a rough few years. At one point it was considered to be one of the highlights of the plumber's deviation from the platformers which made him famous. However, recent releases in the RPG series have seen diminishing returns, and with good reason: they're simply not as good. Where Did The Story Go? 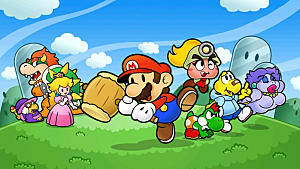 The first game in the series, Paper Mario, was a revelation. It followed on from Super Mario RPG genre-wise, but established an entirely unique aesthetic in the process. It looked great, it sounded great, and proved that the iconic character really could hold his own in a genre more traditionally populated by teenagers with blue spiky hair and huge weapons. The Thousand Year Door took things even further, with reams of text and a wonderfully weird story that was lauded by players and critics alike. 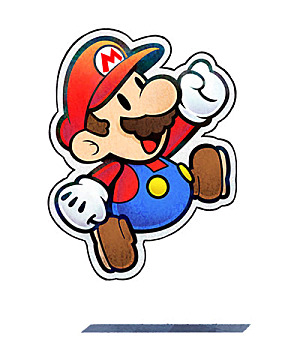 But with the release of Sticker Star on 3DS, something changed. The focus shifted away from the story-heavy elements that embodied the core of the previous titles, in favour of more accessible gameplay. This, in part, was due to Miyamoto himself questioning whether a story was required in the latest iteration. He may have had a point: the 3DS already had another RPG series in the form of Mario & Luigi, and there was a risk of saturating the handheld with two similar franchises. 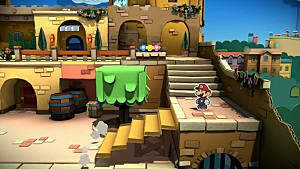 However, it could be argued that Mario & Luigi is a comedy RPG series, in comparison to the (ever-so-slightly) more serious tone of Paper Mario. 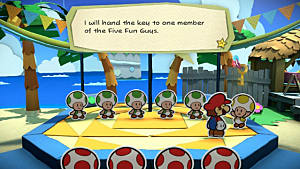 The mechanics of the brothers' franchise were also much different to the solo plumber's quest in Paper Mario. Either way, something was lost in Sticker Star and subsequently the Wii U's Color Splash, despite the relentless meta-jokes and self-referential winks to the red one's career. Humour alone does not make a story, as critics were quick to point out. 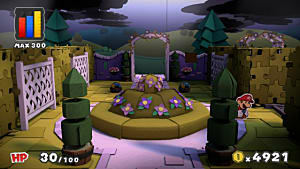 A lot of the blame for the decline in Paper Mario's quality can be laid at the feet of the gameplay. 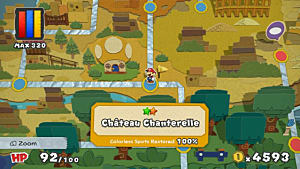 Sticker Star simplified many of the game's elements to the point of dreary repetition. Encounters were frequent, and the actual combat was dull. Color Splash basically substituted stickers for cards, but went one step further by attempting to incorporate the Wii U's GamePad into proceedings. The result was disastrous; each round involved you selecting the cards you wanted to use, then selecting the power of each card, then flicking the cards at the TV from your controller. The GamePad's process added literally nothing to the game that couldn't have been handled on-screen, other than extending the length of combat to tortuous levels. Combat also turned out to be a closed loop of pointlessness. Rewards from battles were either coins which could be used to buy cards, or cards themselves. There was no levelling up, no experience to be gained. At times, your HP would be increased when you reached particular points in the game, but otherwise there was no incentive to fight. After a few hours of playing, you'd be forgiven for dodging battles as frequently as the game would allow. Where Did The Sales Go? Even taking into account the gameplay changes, when it comes to commissioning a new iteration in a series, the bottom line is king. 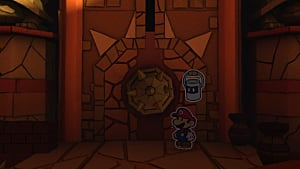 Unfortunately, sales is perhaps one of the biggest issues the Paper Mario series is suffering from. 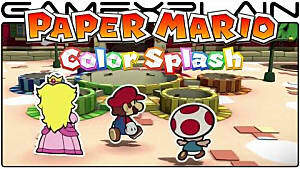 Color Splash bombed horribly. VGChartz reports that it sold 420,000 units as of November last year. Compared to Sticker Star, that's a drop of over 80% in sales. Of course, the 3DS has performed admirably worldwide, unlike the Wii U's nosediving unit sales, but when you consider that the original sixteen-year-old title on N64 sold three times as many copies as Color Splash, Nintendo will surely be weighing up the series' future when the Switch is launched. Is it the end for the once-lauded franchise? That depends on two factors: the appetite for another chapter, and the performance of the upcoming Switch. 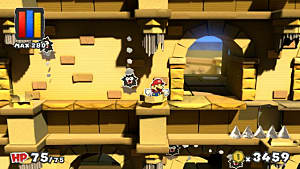 Fans were vocal about the perceived "dumbing down" of the last two Paper Mario games, and in particular the similarities in Color Splash's gameplay which many felt were simply Sticker Star's mechanics retooled for the Wii U. Similarly, Nintendo will likely wait and see what the uptake of their new hybrid console is before pitching another Paper Mario title. If their failed console taught them anything, it's that more of the same simply isn't going to sell. It's also not beyond the realms of possibility that they'll be facing off against another Mario & Luigi title, given the portable nature of the Switch. 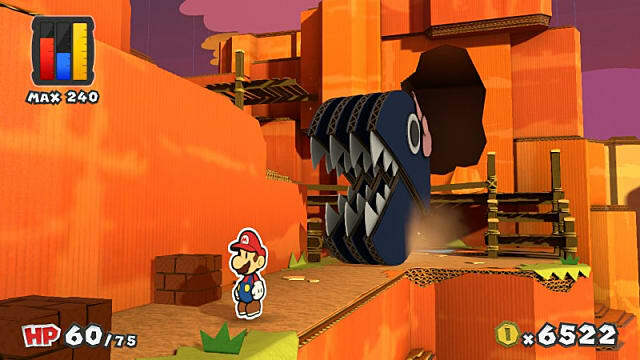 The future isn't looking too rosy for the paper plumber's RPG outing but, as is so often the case, Nintendo may yet surprise us all. 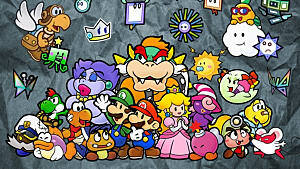 What are your thoughts on the Paper Mario series? Can it bounce back? Let us know in the comments!